What’s theÂ really, really lovely news, though? Can you say, “bonus episode”?! While you are anxiously waiting for my new weekly radio show to start airing, I happen to have this fun, interestingÂ interview with a top Catholic author, speaker and evangelist conveniently ready to share with you. Plus in all honesty, the timing is probably spot-on since these adorableÂ books would make absolutely awesome Easter basket goodies this year for the kids (shhh–don’t tell mine!:). I met Lisa through email about fiveÂ years ago when I emailed her to ask if I could write for a littleÂ website she founded called CatholicMom.com. It was really neat for me to finally talk to her, even if was just over the phone. She is one of those people who is just as genuine and kind in person as she seems over email. 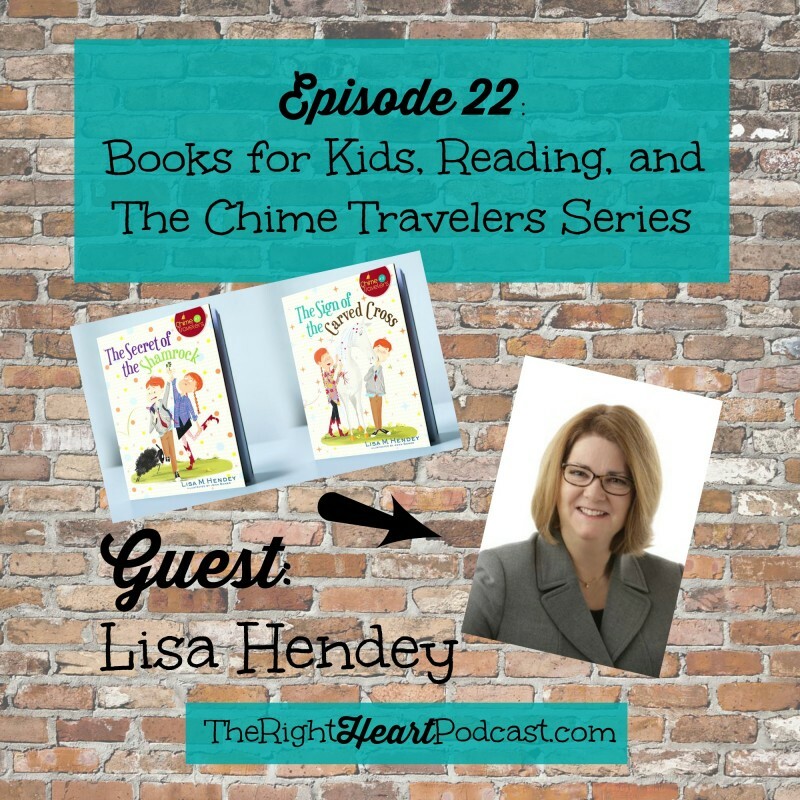 Late last summer, Ave Maria Press sent me review copies of the first two books in Lisa’s new “Chime Travelers” series for children.Â I loved them. So did my five-year-old son.Â The first two books are The Secret of the ShamrockÂ andÂ The Sign of the Carved Cross.Â The books follow Catholic twins Patrick and Katie on adventures back in time with the saints. 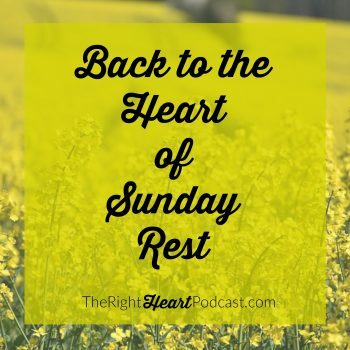 Along the way, the twins learn lessons about God and how to virtuouslyÂ handle familiarÂ struggles we all face growing up. The first book follows Patrick on a journey in Ireland with St. Patrick, and the second book brings Katie to the village of St. Kateria Tekakwitha. These two books were actually some of the first chapter books I tried reading aloud to Gabriel, who was mostly just interested in twaddle-type Superman books up to that point. (Which, if those are aÂ gateway to reading for your child or mine, then that’s great. No judging here! :).Â So, you can imagine that I was pretty surprised when GabrielÂ seemed to really enjoy the Chime Travelers books. They say that you know a child is enjoying a read-aloud book when he or she is never quite ready to stop reading for the night. It was like that every night we read a Chime Travelers book. 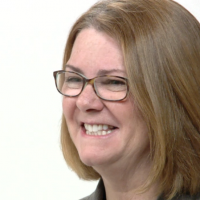 The best word to describe Lisa Hendey is Catholic media evangelist. She is a popular author, speaker, webmaster, podcaster and TV show host. She is the founder and editor of CatholicMom.com, and is also an Editor-at-Large for Ave Maria Press. 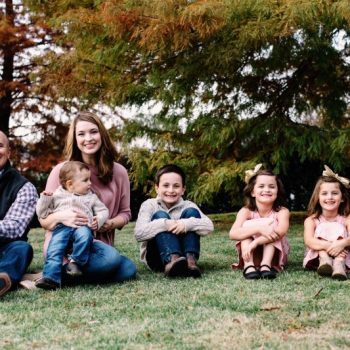 Lisa wears several other ministry and contributor hats besides these.Â God has touched many hearts through this California wife and mother of two. I was honored to have her on the show and to share her newest project.